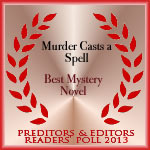 Voting closes on January 14th. Done Nancy. Best of luck! 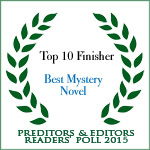 My mystery novel, The Maidstone Conspiracy, came in second in the 2015 P&E poll. Hope you top the results! Thank you for your vote, James. 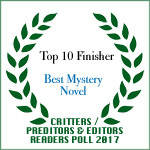 Congratulations on “The Maidstone Conspiracy” coming in 2nd in 2015. That was really great.